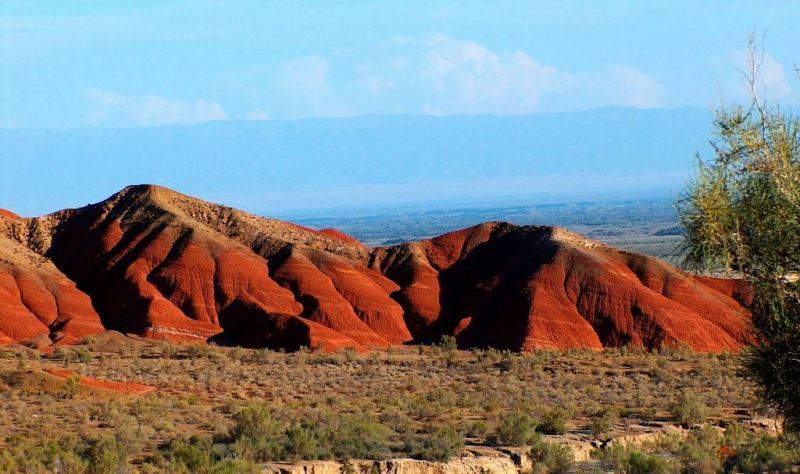 Visiting of sights Altyn-Emel park. 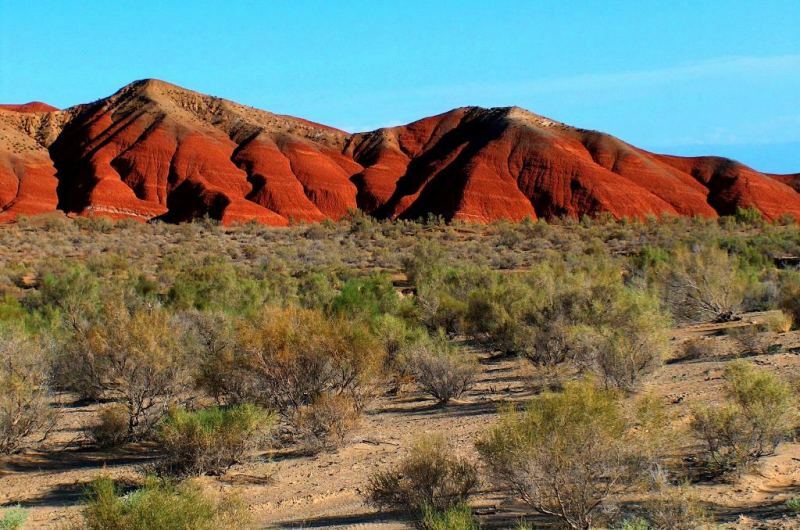 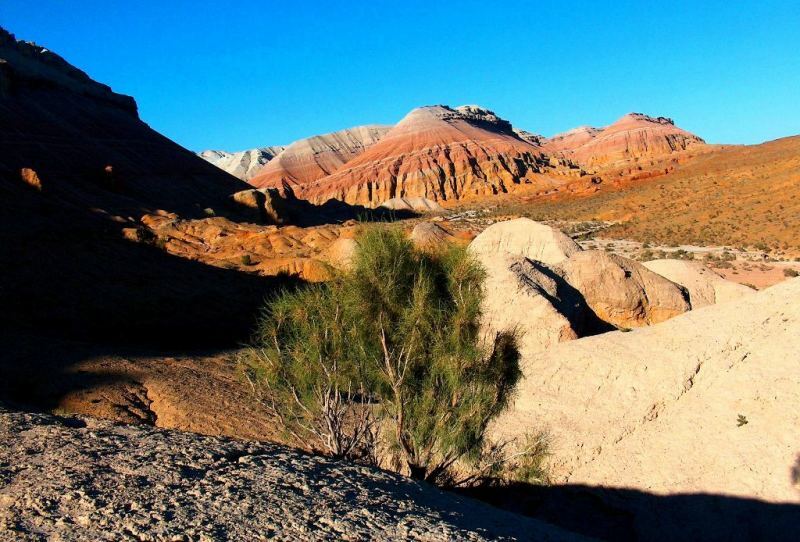 Nature-lovers will find an unexpected paradise in the Altyn-Emel National Park . 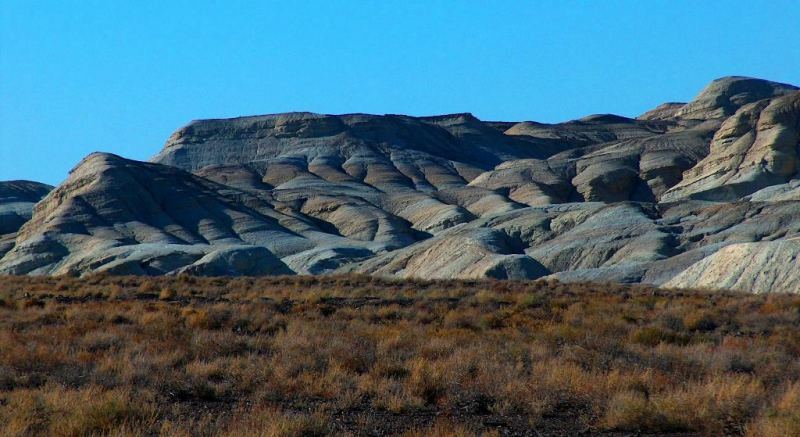 The park covers 90 sq. 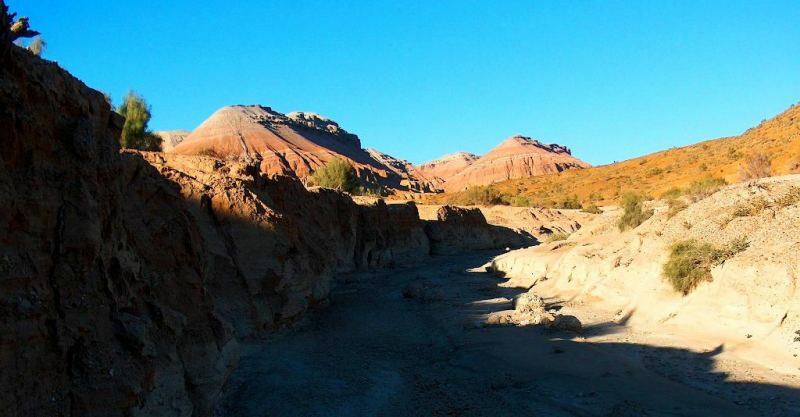 km between the Ili River and the Аk-Таu mountain range. 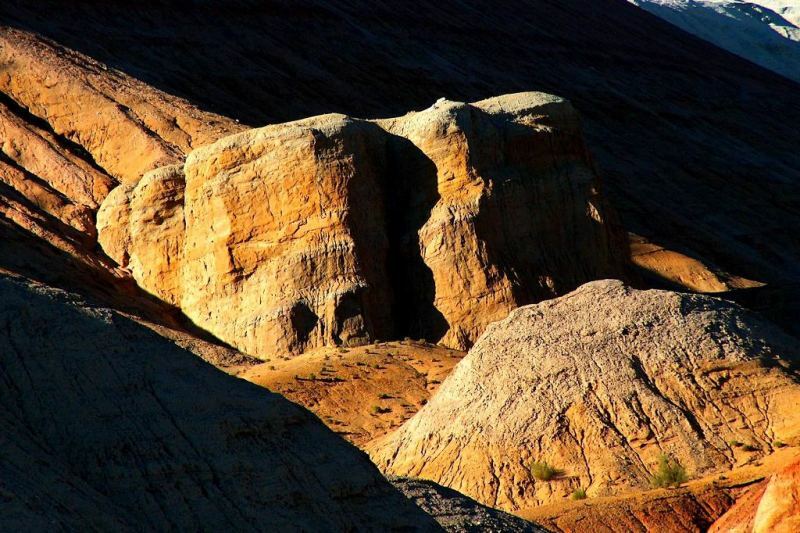 It is mysterious, beautiful country with а long history and а unique natural environment. 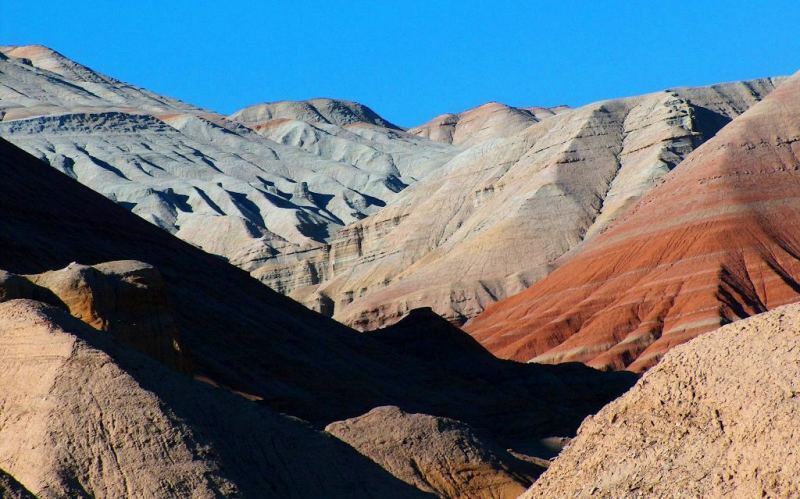 The stunning Ak- Tau (White Mountains) are like аmuseum of the earth' s distant past, Fantastically-shaped natural sculptures rise from the bottom of an ancient sea in аll the colours of the rainbow, from the pale blue "lunar landscape" to the "red mountains". 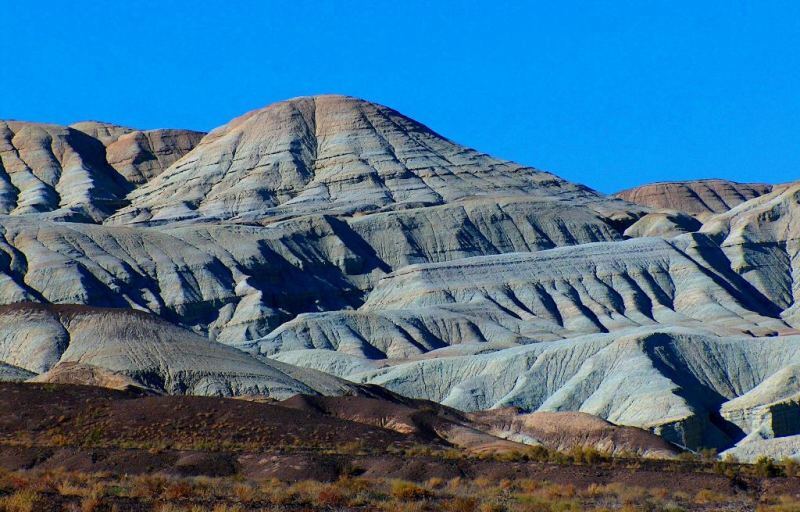 These mountains are 30 km long, 1.5 - 2 km deep - and 400 million years old. 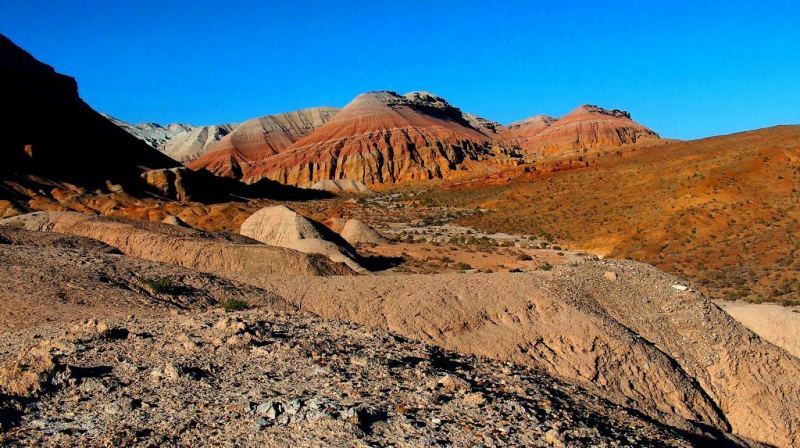 There is а rich variety of wildlife here, with large numbers of jeirans, steppe antelope, mountain goats and sheep, wolves and foxes. 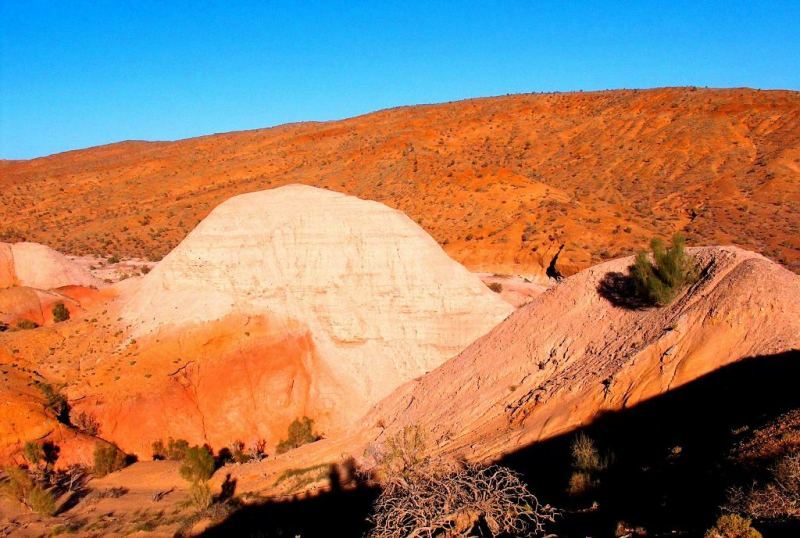 Nowhere can you find more amazing remains of the Sacae culture: ancient burial mounds and rock paintings of wild animals and hunting scenes (for details, see the Archaeology section). 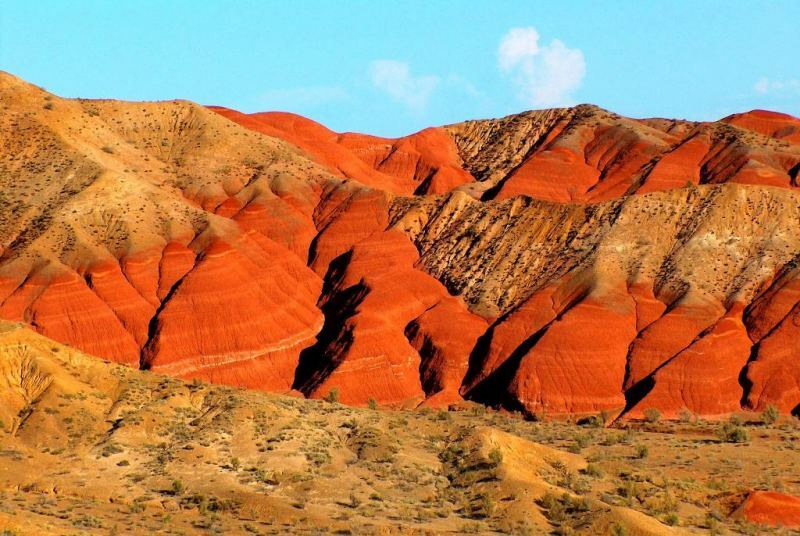 The stunning Ak-Tau (White Mountains) are like аmuseum of the earth's distant past, fantastically-shaped natural sculptures rise from the bottom of an ancient sea in аll the colours of the rainbow, from the pale blue "lunar landscape" to the "red mountains". 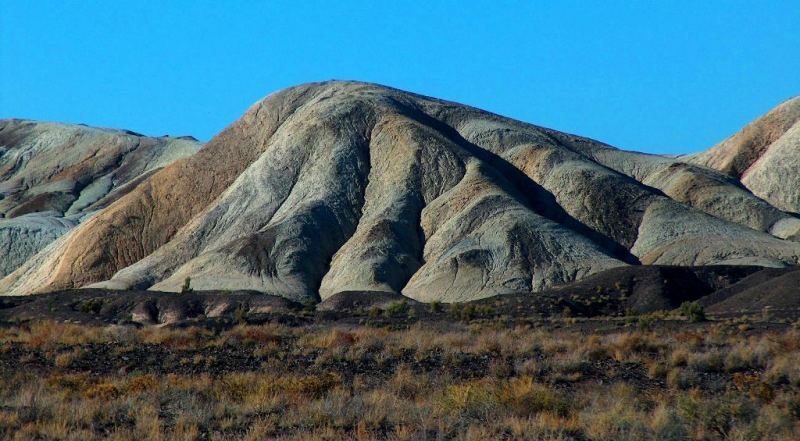 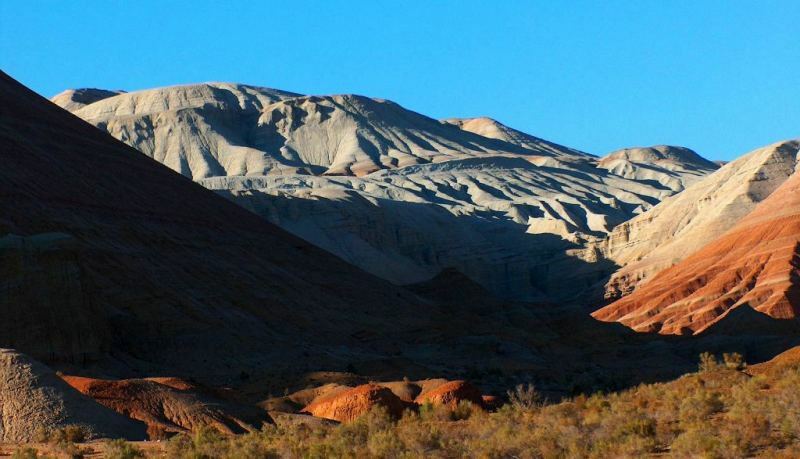 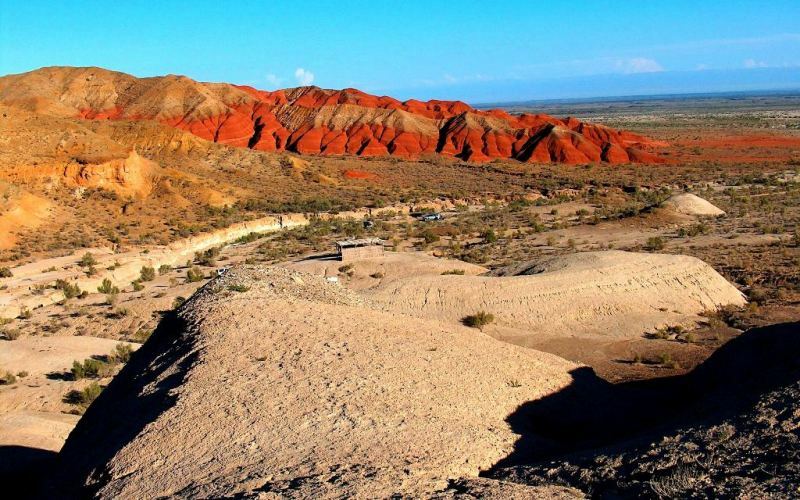 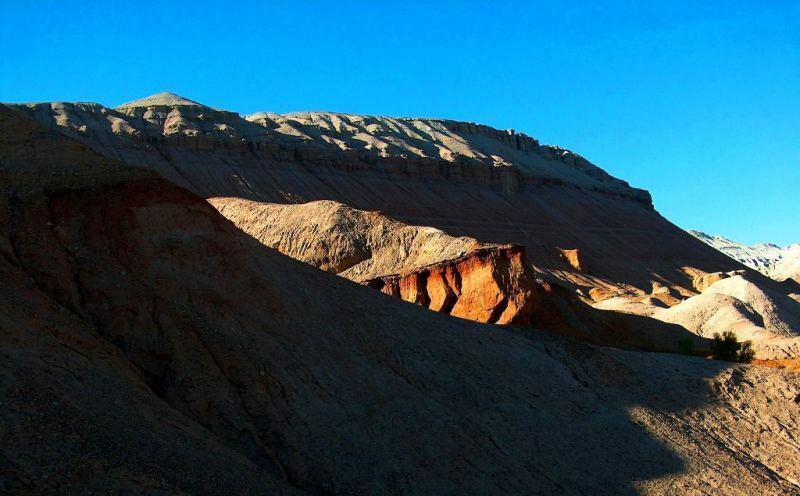 The cretaceous mountains Aktau located in the west of Katutau. 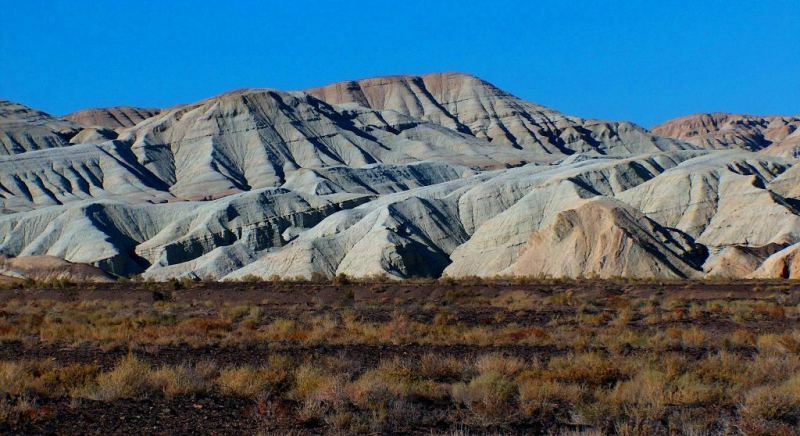 They are pressed from the most different rocks: the whitest as chalk sands, red clay, and claret rocky ground. 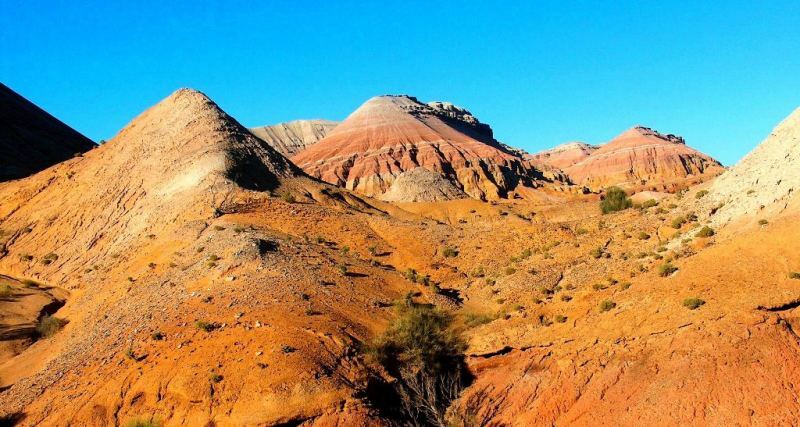 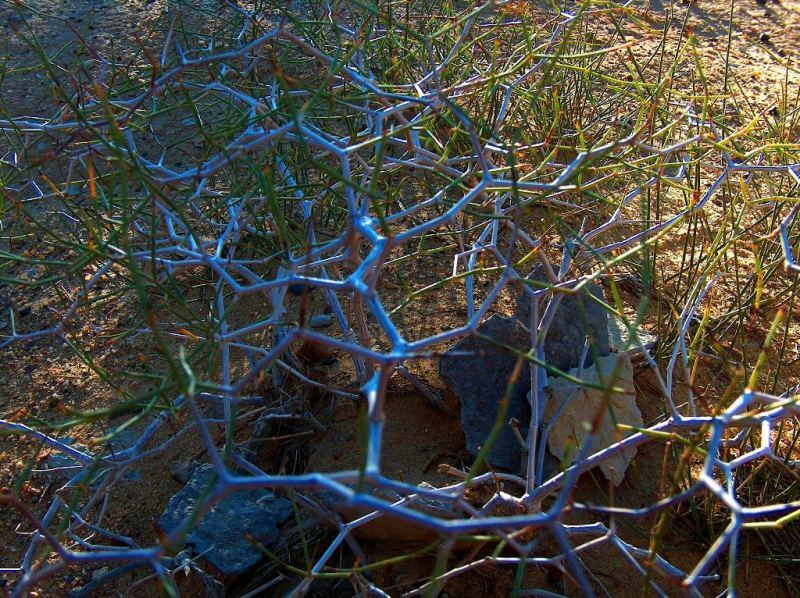 In crevices it was found out even traces of vanished subtropical plants, petrified bones of the most ancient animals, huge rhinoceroses that lived on the Earth 20-50 million years ago. 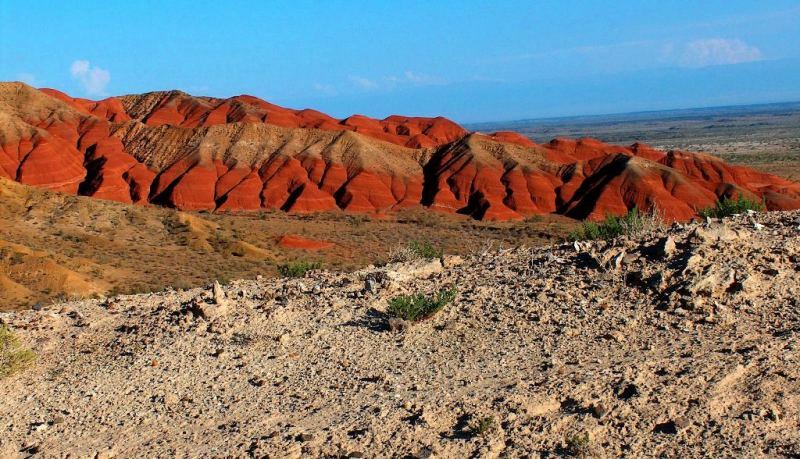 Currently in this park of the park it is carried out a first in Kazakhstan paleontologic museum in the open air. 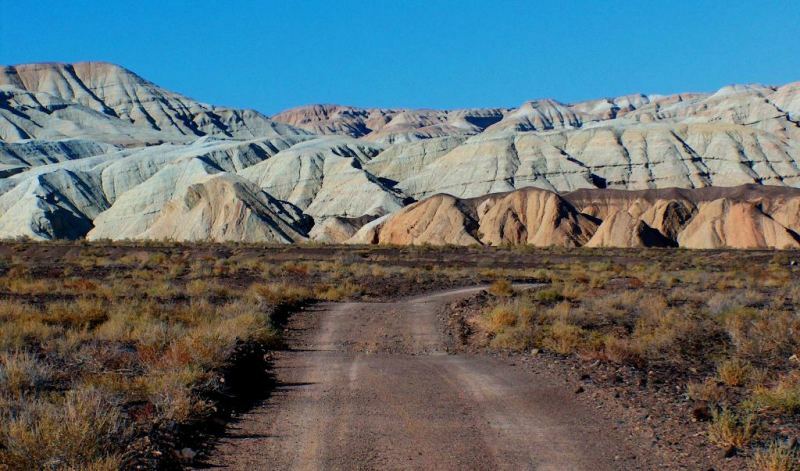 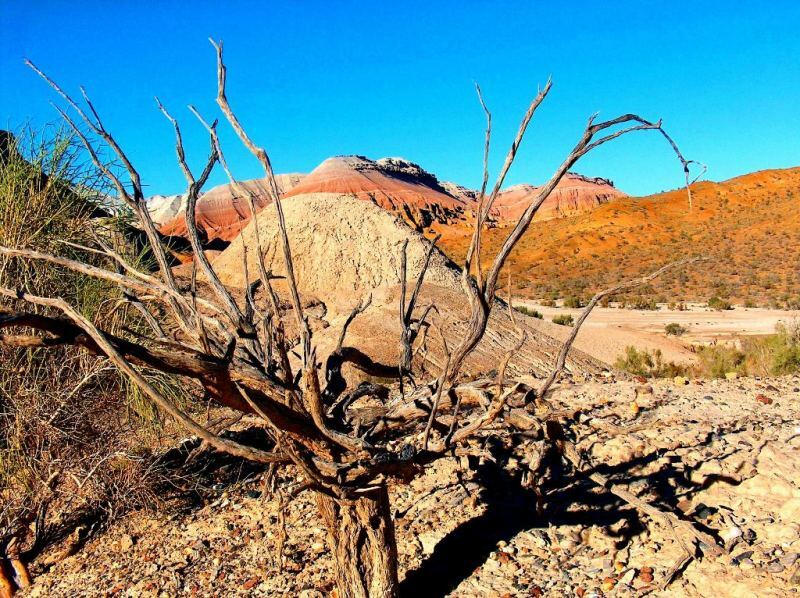 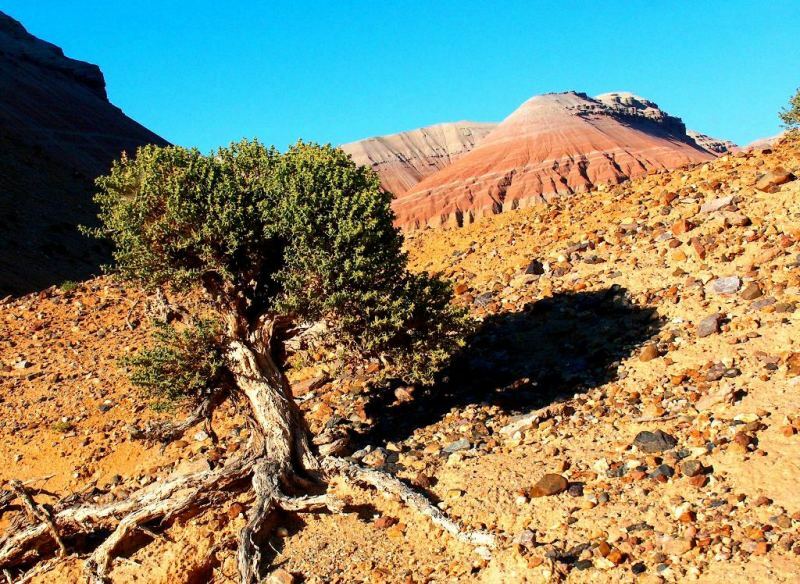 The stunning Ak-Tau (White Mountains) are like a museum of the earth's distant past. 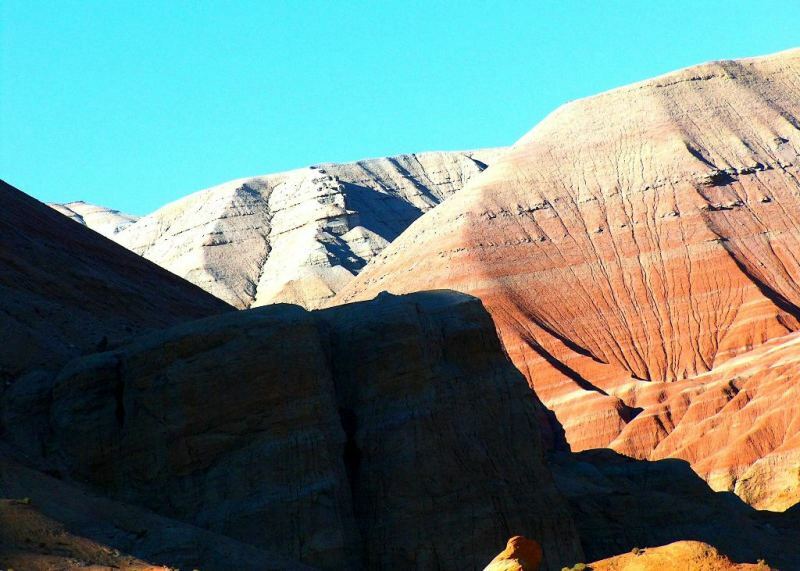 Fantastically-shaped natural sculptures rise from the bottom of an ancient sea in all the colours of the rainbow. 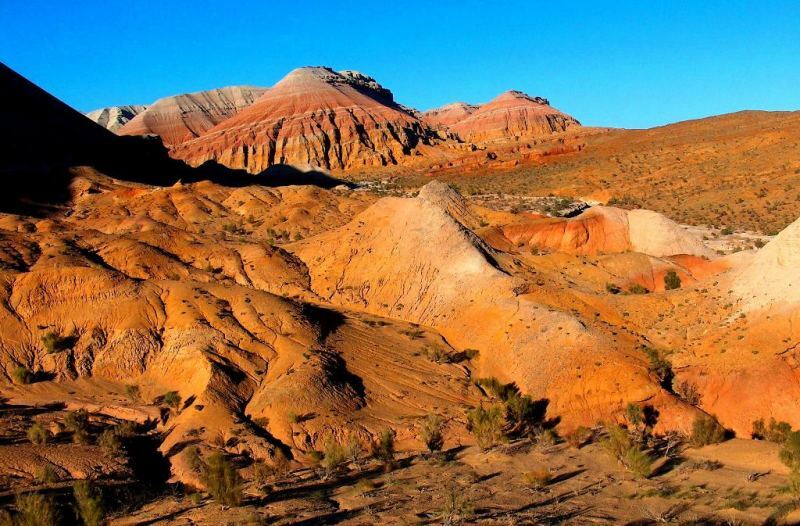 from the pale blue "lunar landscape" to the "red mountains" These mountains are 30 km long, 1.5 - 2 km deep - and 400 million years old.